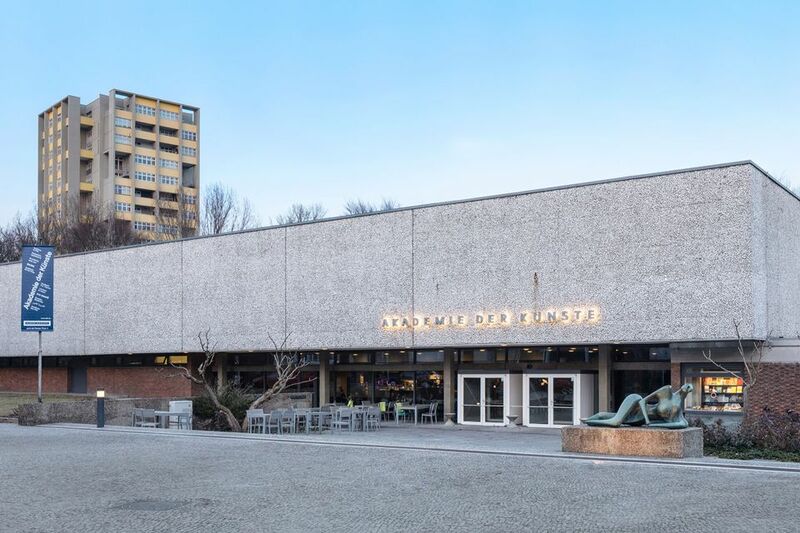 The tenth Berlin Biennale for Contemporary Art announced its venues at the annual press conference of the Federal Cultural Foundation (Kulturstiftung des Bundes), its main funding body, on Wednesday evening. Titled after the Tina Turner song from 1985, We don’t need another hero, the Biennale will take place from 9 June to 9 September across four main venues, the curator Gabi Ngcobo announced. The choice of venues across the German capital has long been treated as central to each edition’s curatorial vision. “The exhibition venues were chosen not only because of their historic relevance in Berlin, but also because of what they represent today,” Ngcobo says. The main venue of the Biennale since its founding 20 years ago, KW Institute for Contemporary Art, will host an exhibition that presents a portrait of people who have defined the institution and works that challenge “inherent hierarchical structures” in political, institutional and personal spaces. Meanwhile, at Akademie der Kunste (AdK), one of the oldest cultural institutions in Europe and which was “a centre for national cultural renewal and enlightenment”, the Biennale will attempt to position “sociopolitical and historical narratives in conversation with stories that inhabit the expansive archives of AdK”. Among them are Sanssouci, Frederick the Great’s 18th-century summer palace in Potsdam, and the Sans-Souci Palace in Haiti, built by the Haitian King Henri in the 19th century. Colonel Jean-Baptiste Sans Souci, a famous leader of the rebel slaves during Haitian revolution against the French in 1791, will also feature prominently in the exhibition. Further permanent venues include the Volskbühne Pavilion—a small glass construction in Rosa-Luxemburg-Platz, adjacent to the main Volksbühne building—which will host performances, and ZK/U: Center for Art and Urbanistics—a former railroad depot in Moabit run by the artist collective KUNSTrePUBLIK, which will host an extended residency programme with artists that investigate “inherent systems of power” in built city environments.